If you’re like most people, you don’t spare much thought for your home’s hot water until it stops. If you’re having water heater problems in Plano, TX, then you may benefit from knowing how these home appliances work. 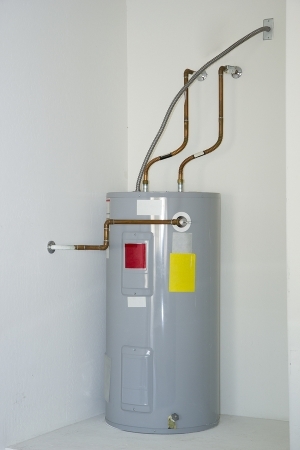 Read on to learn how traditional water heaters function. Sometimes referred to as tank-type water heaters, traditional water heaters are reliable water heating systems that often function for years without any problems. These water heaters are what provide most homes with hot water and, if you have a large, upright, cylindrical tank with some pipes attached, then you have a traditional water heater. Tank-type water heaters can be either electric or fuel-powered. Those that use fuel typically burn gas to heat the water, although oil-fired heaters are a popular choice in some areas. Traditional water heaters that use fuel have a pipe attached to the top to vent exhaust gasses, while those that are electric-powered have a cable that plugs into a service panel. Tank-type water heaters are designed not only to heat water but to keep it hot until it is ready to be used, so each tank is insulated to help keep the water hot once it’s heated. Towards the top of the tank, you will see 2 pipes. One of these pipes carries away the hot water from the top of the tank and delivers it to the taps throughout your home, while the other one delivers fresh, cold water to the bottom of the tank. Electric-powered traditional water heaters are typically wired to a 220-volt circuit that sends a current through electrical-resistance heating elements to heat the water. Gas and oil-fired heaters are fed gas through a control valve with a thermostat switch, and they usually heat water by warming the tank itself. Whether you have an electric or fuel-fired traditional water heater, regular maintenance can help extend the life of the appliance.